Lord Julian Fellowes, acclaimed writer and creator of the hit TV series Downton Abbey, visited St Mary’s Hospital on the 70th anniversary of the NHS to find out more about a revolutionary new treatment for essential tremor. 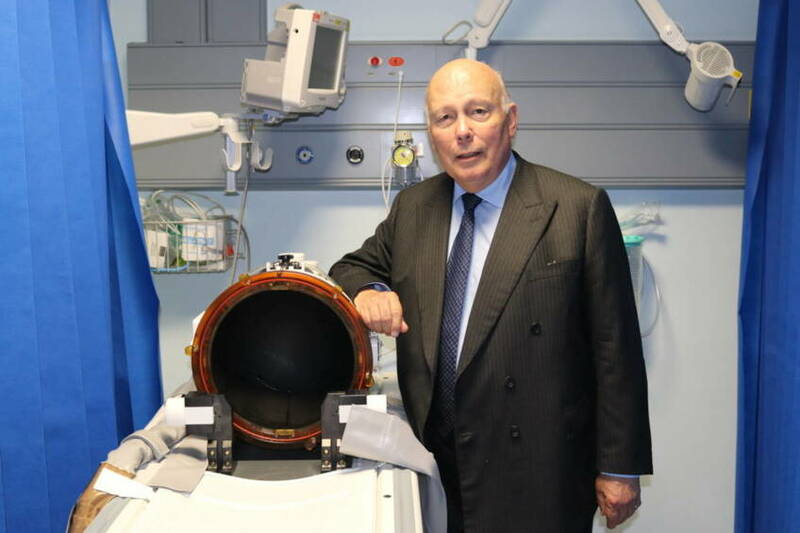 Lord Fellowes, who has been diagnosed with the condition and is Honorary President of the National Tremor Foundation, met with Professor Wladyslaw Gedroyc, a consultant radiologist at the hospital, who explained more about the pioneering focused ultrasound technology. Essential tremor, a brain disorder which causes uncontrollable shaking, affects over one million people in the UK, with around 250,000 severely disabled by it. Current treatments such as drug therapies are often ineffective but the new procedure, using a £1.1 million MRI machine funded by the charity, can be carried out without the need for invasive surgery. During a clinical trial last year, 13 patients were treated at St Mary’s Hospital, all of whom experienced significant improvements. The process involves a single treatment in the MRI machine, causing dramatic, instantaneous and permanent improvements in their tremor, and no side effects. The treatment has now been recommended by NICE – the National Institute for Health and Care Excellence – meaning the team at St Mary’s can continue their essential work. 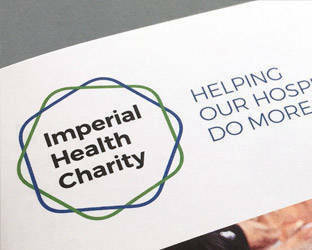 Last month, Imperial Health Charity launched the Tremor Lifeline Appeal, aiming to raise £1.5 million to pay for an additional MRI machine as well as structural improvements and a new patient waiting area at the Acute Imaging Centre at St Mary’s. To find out more about the appeal and how you can show your support, visit our appeal page.